As the EU’s commissioner for competition policy from 2004 until 2010, she was Europe’s top corporate enforcer and madeForbes magazine’s annual list of the “World’s 100 Most Powerful Women” five times. Today ICIJ, Süddeutsche Zeitung and other media partners are making this informationavailable to the public. 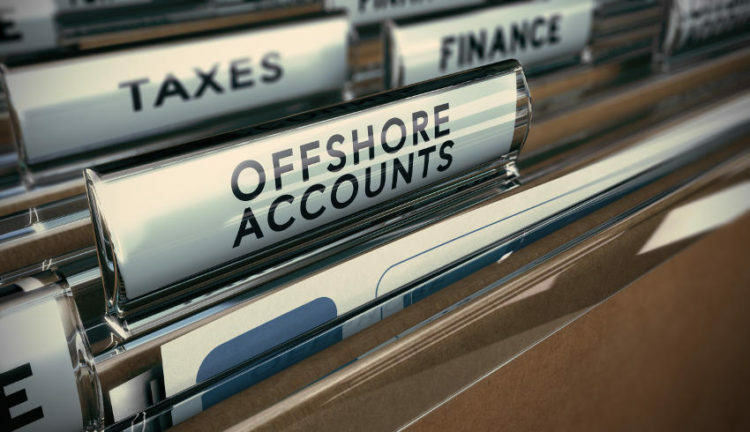 This creates, for the first time, a free, online and publicly-searchable database of offshore companies set up in the Bahamas. This information has been combined with data from the Panama Papers and other leaked offshore documents to add additional heft to one of the largest public databases of offshore entities in history. Former EU commissioner Neelie Kroes. Photo: AP Photo/Geert Vanden WijngaertThe new information reveals previously unknown or little-reported connections to companies owned or run by current or former politicians from the Americas, Africa, Europe, Asia and the Middle East. A police officer outside Mossack Fonseca’s Panama City office. Photo: AP Photo/Arnulfo FrancoThe Panama Papers show how Mossack Fonseca helped clients use Bahamian secrecy to keep their name out of public filings and how the law firm undermined the global push towards tax transparency. Click to explore the Offshore Leaks Database.Badr-El-Din founded UAE Offsets Group, a company that reinvests proceeds from weapons sales into the United Arab Emirates. UAE Offsets Group previously contracted with the weapons manufacturing giant Lockheed Martin Corp. Kroes worked as a lobbyist for Lockheed prior to being named EU competition commissioner. The Bahamas’ capital, Nassau, is home to cruise ships, resorts and offshore service providers. Photo: ShutterstockIn the 1930s, the U.S. Internal Revenue Service investigated Americans who avoided taxes in Switzerland and the Bahamas, which once sold itself as the “Switzerland of the West.” The focus intensified in the 1960s when U.S. investigators noticed an uptick in the use of the Bahamas by organized crime bosses. U.S. bank assets in the Bahamas, meanwhile, ballooned eight times between 1973 and 1979. By the end of the 1970s, one study reported that the “flow of criminal and tax evasion money” into the Bahamas was $20 billion a year. In the new documents, for example, Exxon Azerbaijan Caspian Sea Limited, the energy giant’s company in the repressive yet oil-rich nation Azerbaijan lists no directors in the Bahamas registry. Yet there are 19 directors listed in the documents seen by ICIJ. The Bahamian company Equatorial Guinea LNG Holdings Limited shows no directors in the Bahamas’ public registry but,in files reviewed by ICIJ, six well-connected Equatorial Guineans appear, including the First Lady’s brother and four current and former ministers of energy. Former Chilean dictator Augusto Pinochet, right, with his son Marco Antonio. Photo: AP Photo / Martin ThomasBahamian companies, trusts and bank accounts have appeared in numerous cases involving the seizure of dictators’ and politicians’ money. The son of former Chilean dictator Augusto Pinochet used a Bahamian company, Meritor Investments Limited, to move $1.3 million to his father. Pinochet’s son, Marco Antonio, dismissed the allegations as “lies” and declared no wrongdoing through the Bahamas. Pinochet himself owned another Bahamian company, Ashburton Company Limited, set up in 1996. Abba Abacha, the son of former Nigerian president, Sani Abacha, had $350 million frozen in Luxembourg and the Bahamas as part of a global asset hunt into the estimated $3 billion stripped from Nigeria during his father’s five-year rule. A brochure promoting the Bahamas financial services industry.Today, in advertising material, the Bahamas promotes a “unique approach” that purports to respect international rules yet protect its offshore clients. The Bahamas reassures potential investors that it will share tax information later than most other countries and, even then, only with selected governments that meet stringent technical and confidentiality requirements.